On World Down Syndrome Day, people worldwide with Down syndrome, and those who live, work with and love them, hold and participate in activities and events in an effort to raise public awareness and to create a unified voice for advocating for rights, inclusion, and well-being of those with Down syndrome. The cause of the condition is unknown. 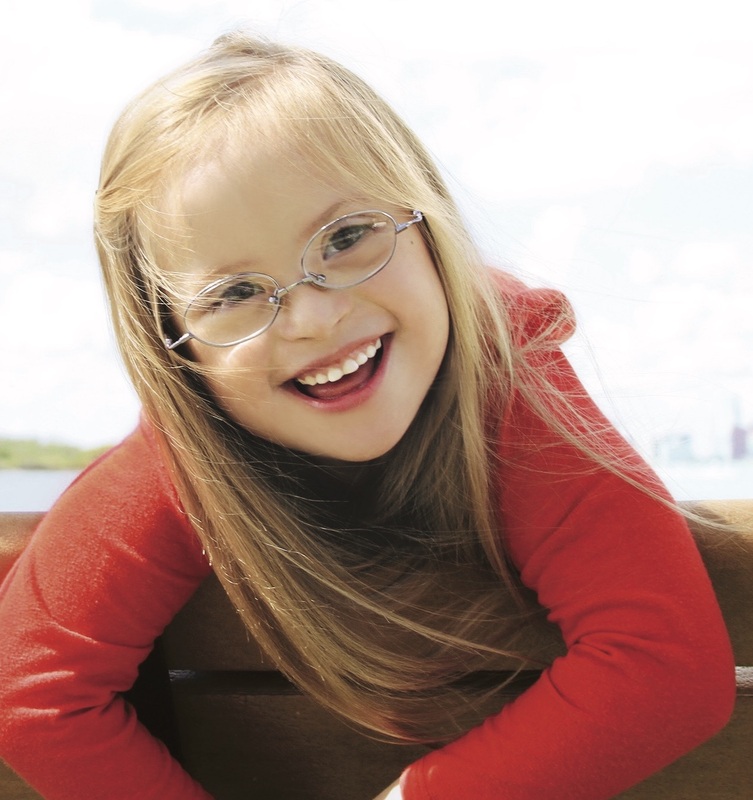 The Centers for Disease Control (CDC) estimated the frequency of Down syndrome in the US is 1 in 691 live births in 2011, up from 1 in 1087 in 1990. 38% of Americans know someone with Down syndrome. Valentina was born in Miami Beach on September 16, 2011. She wasted no time in teaching her parents Juan and Cecilia how to focus on the positive aspects of life instead of the challenges. She inspired them to help change the perception of Downs Syndrome, and they quickly realized the great capacity that those born with this condition embody. Through their experiences, they chose to enlighten others. Valentina embodies kindness, curiosity, determination, and joy, like her name suggests in Spanish, she is absolutely a Brave Warrior. Her life is like most children’s, except for the fact that she is now sometimes recognized on the street as a result of her modeling and inspiring thousands of individuals around the world, simply by being who she is. Valentina’s day-to-day life is quite busy! Every single morning Valentina wakes up at 6:30 AM and her mother prepare breakfast for her and her 4-year-old brother, Oliver. Nutrition is an important part of her development. She is starting to read books, learn addition, and even Mandarin; the third language she currently speaks fluently (alongside English and Spanish). Her school fosters diversity; one of Valentina’s best friends has Cerebral Palsy, another is from Russia, and yet another good friend is African American. They all coexist happily, learning from each other, valuing the benefits of individuality. 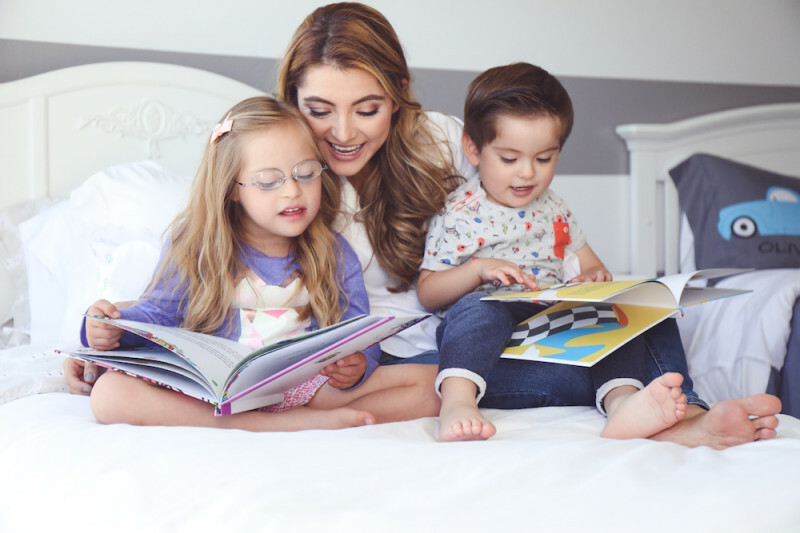 Weekends are full of planned activities that stimulate Valentina & Oliver’s development; they look at Kiddos Magazine and newsletter for ideas! The family hangs out with friends so they can have fun and socialize, visits different museums, the Zoo, frequents cultural activities, street fairs, and all sorts of parks (indoor, outdoor, waterparks, etc),. The Indoor parks they love the best are Pod22 or Cool Corner Bistro, and their favorite outdoor parks are Morningside, South Pointe, Fisher Park y Vanderbilt Park. They also like to go out for ice cream about twice a month; Valentina loves anything with chocolate, but especially the paletas at Cielito Artisan Pops or the deserts at Cream Parlor. Her favorite vacation so far has been to Aspen where she experienced snow for the first time! Valentina loves music, so you’ll often find her singing a song or playing around with her instruments (violin, keyboard, ukulele, guitar, and maracas). When she was a baby until she was 5, Valentina went to early stimulation music-oriented classes at Silly Monkeys Playhouse and Miami Children’s Music following the Music Together and Zumbini programs. Music is an essential part of her life. Her favorite game is to pretend to be a teacher; she lines up all of her little dolls and tells them what to do in her class. Every week the family is asked for tips to maximize a child’s development, so they created a YouTube channel to share what has worked best in their experience, in hopes of saving time and money to those families that are privileged to have a child with Down syndrome. Because they know as well as Valentina’s family, that they are #TheLuckyFew. Camille Lucy is a Certified Holistic Health Coach, Certified Reiki & Raindrop Technique Practitioner, Ordained Holistic Minister, graphic and web designer, business consultant, and Vice President of a local non-profit that “rehabilitates people through animals.” She is also a writer, a Mother of 3 girls, an artist, a Life- and-Love Junkie, a Self-Expression and Development advocate, and – well, you get the point. She’s a lot of things, just like all of us. Camille is also the author of, “The (Real) Love Experiment: Explore Love, Relationships & The Self.” Learn more about her and her adventure(s) at CamilleLucy.com.